is an international art charity project dedicated to SHINee member Kim Jonghyun. 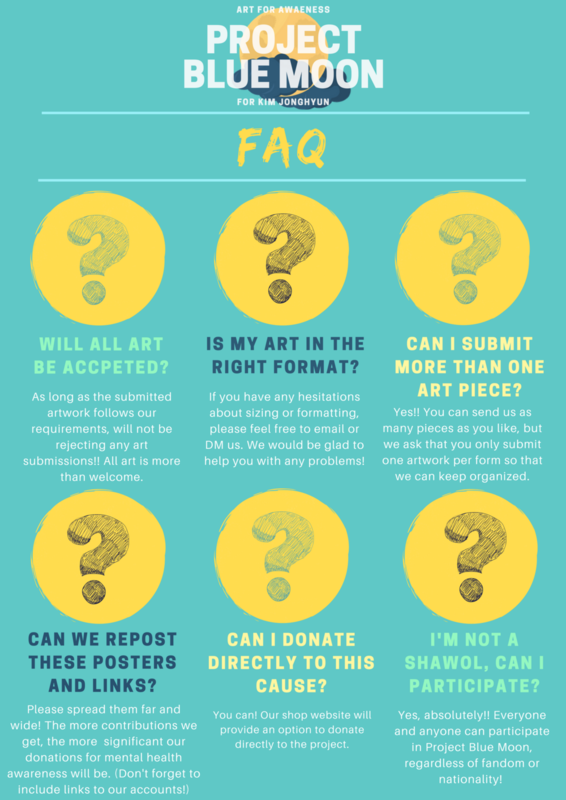 Beginning on February 5th and ending on March 31st, 2019 its our mission to sell fanart created by worldwide Shawols and fans of Jonghyun in order to raise both awareness and donations for mental health and suicide prevention. Through this project, we also want to remember who Jonghyun was and all that he did for those he loved. If you would like to become a Blue Moon Artist by contributing your art to the project, it's as simple as filling out this form.